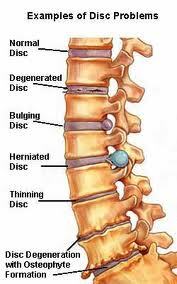 A normal part of aging process involves the deterioration of tissues, especially those of the spine. This deterioration occurs with all individuals over time. The degree of the deterioration varies from individual to individual. The reasons for this are not fully clear, however, it seems that a history of spinal stress and abuse (such as years of hard labour or years of prolonged sitting) as well as inadequate spinal hygiene (lack of periodic spinal checkups) accelerates this deterioration process.